A quick whiff of the Ultra refreshing herb,”Mint” takes you straight to the chill of the hills. Super cool and sublime in nature and amazingly fresh and bright green to look at, these little leaves are a humble treasure box of beauty secrets. Use it as a Mint paste, Mint Essential Oil, a room freshener, a toothpaste, a chewing gum or in a cup of tea – everyone form of mint has been useful for us. 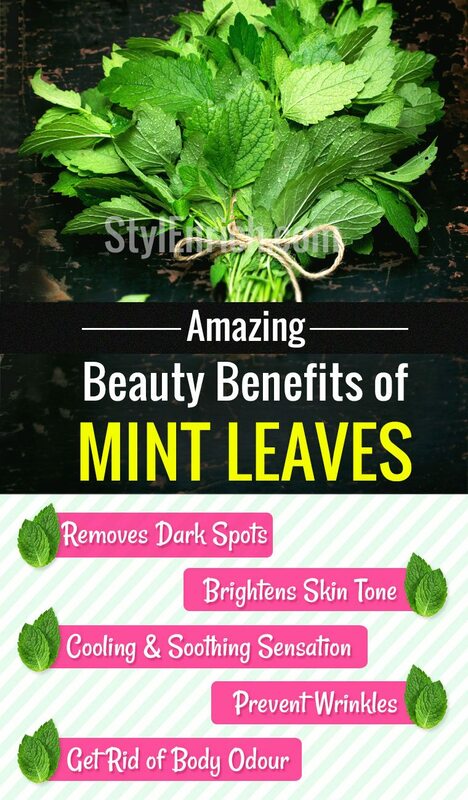 There are many ways of reaping health and beauty benefits of mint leaves. 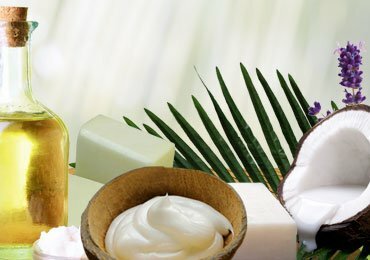 It is the attraction of every shampoo, moisturizer, and cleanser today because of its cooling sensation and soothing properties. Mentha Pepperita is the Latin name for Peppermint, the most common of the mint family consisting of over 30 species. 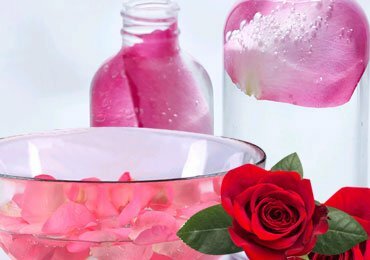 Being used by the ancient Romans and Egyptians who valued it for its pleasant aroma, the Royals of Japan too used it for freshening up and adding an aroma to their temples and homes. Early Americans have been making therapeutic use of the Mint and also to purify drinking water, and treat common flu too. So keep a fresh bunch of Mint handy as I bring for you 10 benefits of mint leaves that will definitely add a cool zing to your otherwise boring life! Mint gives you refreshed skin that looks youthful with every day passing by. Application of Mint paste made by crushing Mint Leaves on your skin, removes Dark spots and pigmentation that tend to occur in the process of ageing. There is no doubt, that we all face the bad times of a pimple and acne popping out on our face. The cooling menthol of mint helps you to relieve inflammation of acne and the rich salicylic acid in mint helps you to banish away the pimple. Being rich in anti microbial properties, Mint helps you get relief from the redness and kills the pimple causing bacteria. 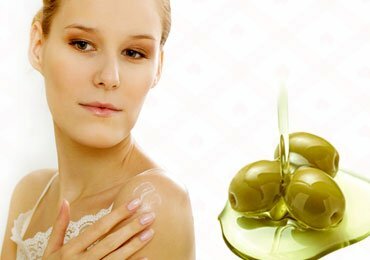 Among the initial signs of aging, the first and the most prominent one to appear is wrinkles and sagging of skin. Mint helps you to get rid of these wrinkles and help in lending a firm texture to your skin. Mix in a spoon of honey in some curd and mint leaves paste and apply this mask on your face to find a firm an uplifted face after using it. Mint leaves have always been considered as one of the best exfoliator. Mint leaves when crushed to make a paste, work as an excellent skin cleanser. The power of Mint Leaves when coupled with the goodness of oatmeal and brown sugar works its magic on your skin like that of a magical scrub, cleaning the oil dust and grime out of your pores. Instead of opting for one of those chemical laden cleansers go for Mint leaves for a fresh feel. Mint is extensively renowned for its cooling and soothing sensation, thanks to its Menthol properties mint is often used to treat sunburn due to the harsh and harmful UV rays. Mint provides a cooling effect on your skin. Extract some Mint Juice by squeezing crushed Mint leaves and mix the mint juice with Cucumber juice and some Sandalwood powder. Apply it on the affected area and let it heal the burnt skin. You will feel cool and relaxed in moments after the application. The Vitamin A naturally present in the mint in abundance helps to regenerate the dead cells of the body and reduces pigmentation. Mint leaves juice when combined with Fullers’ Earth and a dash of raw Milk helps in getting rid of tan and brightens and lightens the skin. Also, this is one of the best benefits of mint leaves. Mint has endless revitalizing qualities, this in turn gives the skin a tight, firm and toned feel. The open pores on your face can be closed and pimples can be prevented with a highly effective Mint Toner. Take half a litre of water and bring it to a boil. Add a handful of Mint leaves and let it reduce to half the original quantity of water. Cool the boiled mint leaves water and spray it on your face twice a day. 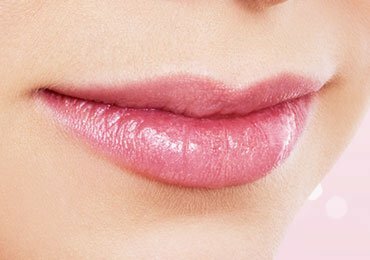 You will gradually see the pores on your skin closing giving you smooth textured skin. Body Odour becoming a concern for you? Sweating too much? Mint is your handy remedy then. Mint is being used by every perfume and deodorant Company is using the refreshing and energizing aroma of Mint. Add a few drops of Mint Oil in your bath and smell amazingly fresh all through the day as well as cools down the body temperature. 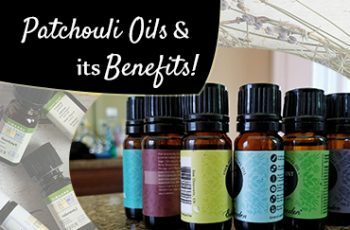 Mint Essential Oil is being used extensively at all the leading spas and salons that offer Aromatherapy to relieve stress. Tensions and stress factors or a heavy work filled week at home, office or home, can give you a terrible headache. Mint oil is often combined with Jojoba oil, Lavender Oil, or Chamomile Oil in aromatherapy treatments, to give you a relaxing and soothing effect. 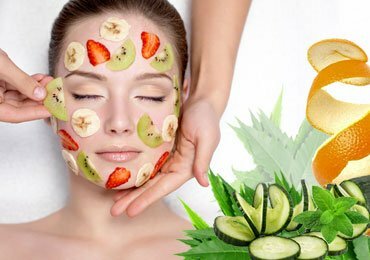 Our bodies get Contaminated with the impurities that we intake along with our food, in the form of pesticides, urea and many other chemicals. 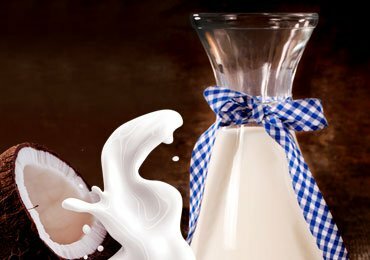 The insoluble fats and impurities of our body get accumulated in the kidney and liver making us feel of bloated and fatigued. In such a case a warm cup of Mint tea or drinking lemon and Mint infused water helps a big deal and cleanses and detoxifies you from the inside. Do not underestimate the size of the humble Mint, for its tiny green leaves are capable of holding innumerable goodness and bundles of advantages for you. The cooling and soothing mint leaves you rejuvenated and totally revitalized. The next time whenever you face any health problem make use of these quick fixes with Mint and all your problems will have a guaranteed solution. Loved our article and useful nformation about Mint? Why not share this helpful article with your friends and family on social media. Also if you want to add some more information of share your experience with us, then please leave you rvaluable feedback in the comments section.